All HRV manufacturers state that units should operate at 50% capacity in normal operating mode and no more than 75% capacity when the system is boosted. 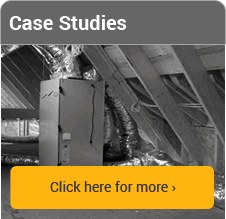 Incorrectly sized units do not operate efficiently & running costs significantly increase. 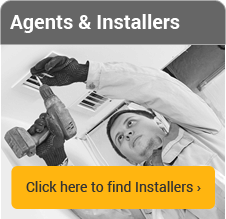 We are the Irish /UK distributor for Vents. But we can select and price any Manufacturers units, we select the correct size unit for your property. 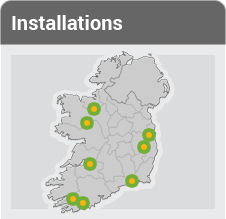 A Plus are the distributors for Burgerhout HB+ manifold air distribution system in Ireland, we found that no one company could provide a system from start to finish, each component was sourced in different places. The Burgerhout system met our needs, but more importantly, meets our customers’ needs. The Burgerhout HB+ manifold is acoustically treated through design and manufacturing materials. This design allows for up to 375m3/h (per manifold) to flow efficiently and quietly through the system. Manifolds that are produced from sheet metal generally have no acoustic design and can cause “resonation” noise through the system if not acoustically treated. The Burgerhout HB+ is a balanced system. The system is designed to be balanced at the manifold not at the valve heads. The exhaust and supply valves are flush mounted, tamper proof fixed grilles. The Burgerhout HB+ system incorporates high grade synthetic ducts from the HRV unit to the outside wall or roof cowls and to the air distribution manifolds. This prevents condensation on the inside and outside of the ducting. The Burgerhout HB+ tributary duct is 92mm standard. This duct has an internal dimension of 75mm. This achieves best practice standards. Most of our competitors use 75mm duct with a 63mm internal dimension, although you will achieve the physical airflow (minimum standards) with the smaller duct, it will result in higher velocities in the duct which create noise in the system and the pressure will increase, which affects the efficiency of the unit. Where price is a factor, we can supply the HB+ 75mm diameter duct. Each system we supply & fit is designed especially for your dwelling, and has been designed to Best Practice, not minimum standards. Many contractors may tell you that they are proposing a system that meets the building regulations. It is important to note that the minimum building standards are based on minimum standards across the board. Part F (Ventilation) minimum standards will be sufficient for a C1 build where there is a lot of air leakage (permeability) through the structure. However, the more efficient your building is then the more important the correct ventilation becomes. The focus is on improving the U-values of the building elements, the structural air tightness of the building and the efficiency of the MVHR unit. However, many work off the Part F (Ventilation) building regulation minimum rate regardless of the other changes within the building element which dramatically effect indoor air quality. The result is inadequately ventilated buildings, albeit ‘compliant’ with Part F minimum standard. The diagram below shows the U-values required, the airtightness level and the MVHR efficiency required to achieve the energy rating shown on the left. For houses above B2 the minimum ventilation rate will not provide adequate ventilation. Minimum standards in building regulations are just that. They are the absolute minimum legal requirement. Minimum standard ventilation as with most minimum requirement standards will not be sufficient. This is why we prepare our specification and designs around the principal of best practice.